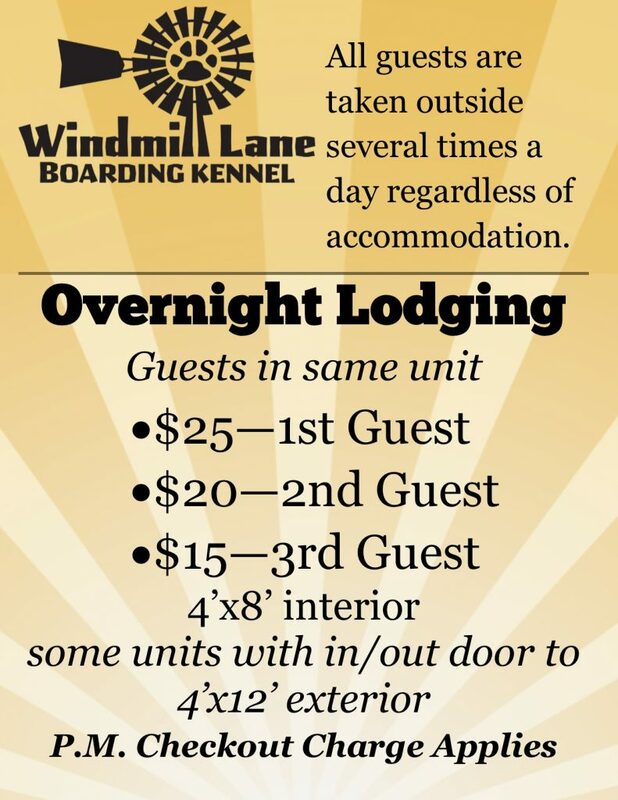 Windmill Lane Boarding Kennel clients and friends: We will be raising our per night kennel price as of reservations made after March 1st, 2018 to $25. This will be a flat rate for all 4′ x 8′ kennels with or without doggie doors. Discounts will continue for additional dogs in the same unit and for 7+ night stays. Windmill Lane appreciates all of our clients and guests and we thank you for trusting us with the care of your fur babies while you are away. **Any reservations made before March 1, 2018 for stays before May 1, 2018 will be billed at the current rate.